I love how bright and colorful today's quiet book is! It was made by Kayla of Double Tha Love, and I love that the colors of the cover match with the pages inside the book. 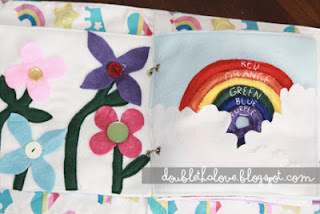 My favorite page is probably her rainbow page - it's such a neat idea. She also has a Hello Kitty page, which is really unique and fun. So, enjoy! 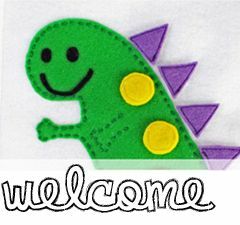 My name is Kayla, I'm a busy mom of twin boys who loves anything DIY, and also runs my own blog design shop! I made this quiet book for my 2 year old niece, Myah! It took me probably close to 30+ hours all together, and it took me about 3 months to finish. I didn't use any template, I just looked for ideas online and mimicked them! A lot of my pages were just random, thought up pages. I used metal rings that were attached to a spine of the cover to hold it all together. Each page had 2 metal hoops that I attached in them which slipped onto the metal rings on the spine. 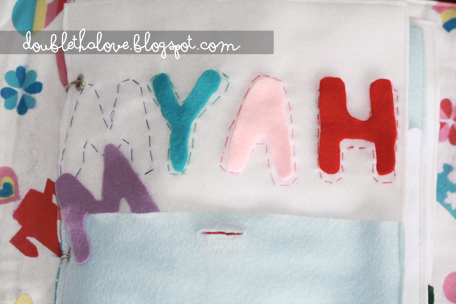 I used all felt so I didnt have to worry about fraying ends! Buttons, a zipper, a lock and key, pipe cleaner, snaps, velcro, and thread. I also added a notepad and crayons to one of the pages. 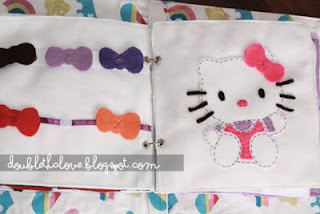 I have two favorite pages, and this is why: the Hello Kitty page was specially made for my niece because she is completely obsessed with Hello Kitty, so A LOT of love went into that page dreaming it up and creating it! 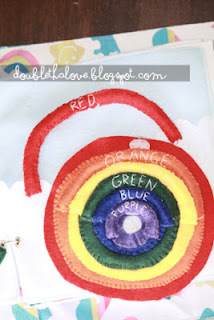 BUT, that being said, I think the rainbow page was my favorite because it had the most detail. I would not, however, create that page ever again and HIGHLY suggest that if you create that page, that you have a ton of patience! 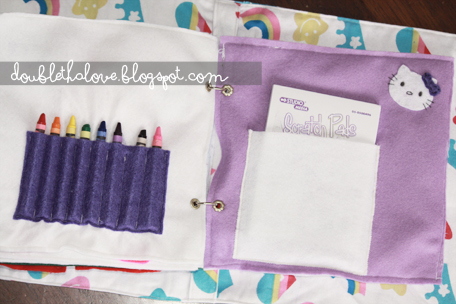 To view Kayla's quiet book on her blog, click here. Thank you for sharing your awesome quiet book with us, Kayla! Today's quiet book is all the way from Poland! 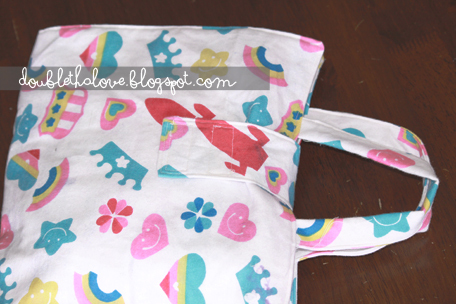 It was made by Joanna of Hobbiko, and I love how bright and colorful it is. 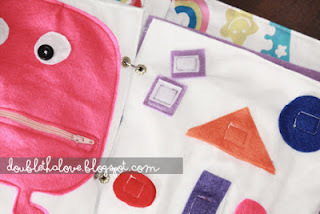 She explains in her blog that Quiet Books are not common in Poland, and I am so impressed at how it all came together! I think one of my favorites is the tooth-brushing page - I haven't seen one like that before and think that it would make a great (and encouraging) activity page. I simply sewed all pages together. 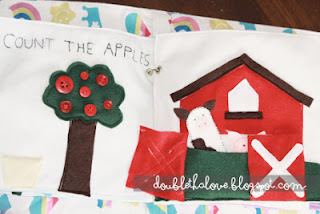 The pages are made of two layers of cotton with special sponge in between. 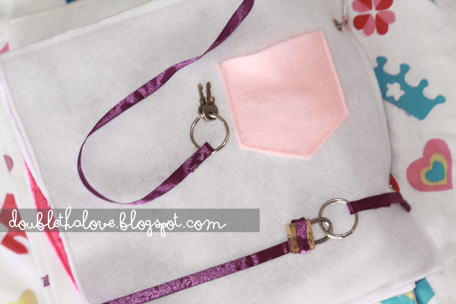 Velcro, buttons, ribbons, other accessories. Hmm..I somehow like the page with girl's head - you can comb her hair ..:) She definitely isn;t a beauty but I like her anyway :) And I think that the cover of the book looks really nice. 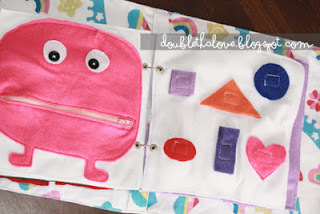 Do I plan to sew another quiet book? 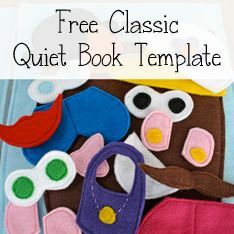 Have you made a quiet book that you'd like to share? 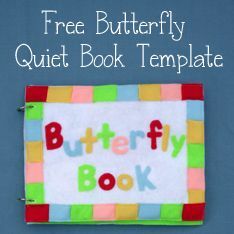 Click here for instructions on how to submit your own quiet book.